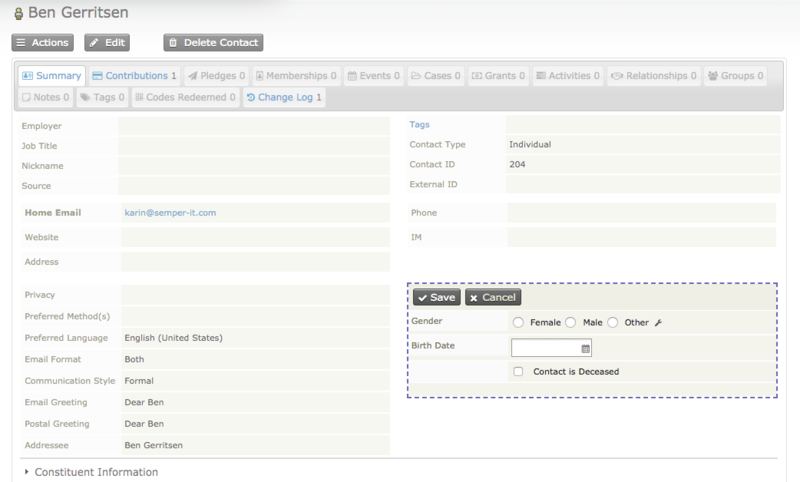 When making an in memory of donation -> why does the deceased contact not get marked deceased? 3. Result: Contact is created but is -not- marked deceased. If we had also filled out the email for the deceased (standard field for the in memory of profile) then this could easily lead to some awkward moments allowing CiviCRM to email deceased people. 4. I can understand that one may want confirmation that someone is deceased - rather than letting an anonymous donor update that field in the database - but to treat 'in memory of' contacts as alive people is risky. 5. Anyone have any suggestions on how to handle processing 'in memory of' profile submission better? Best response was by Andrew/AGH: "... it's way better to have a dead person look alive than to have a live person look dead." Not the answer you're looking for? Browse other questions tagged civicontribute contacts profile or ask your own question. 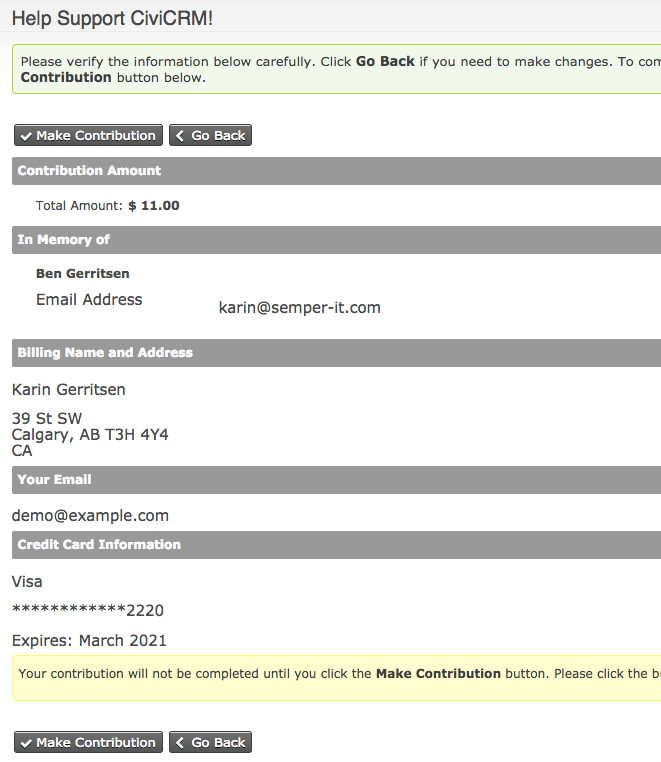 Does the email address always have to be in the donation section on a Contribution Form? Why does the profile field contact subtype only display individual subtypes but not organisation subtypes? A required State field in a contribution page is not populating. What can I do? why does a search in contacts using full name in lowercase not find the contact?